When presenting your property to the market, your goal is to attract serious buyers to cross the threshold and tour your space. But we don’t always keep our space in magazine-ready condition. That’s quite alright—that’s where my discerning eye comes into play. Below, view examples of homes that have been staged to varying degrees. In my experience with a wide array of homes, staging can mean bringing attractive items into the picture, but usually it suffices just to remove items that detract from the image we’re presenting. I call this editing a space. As your prospective buyers swipe through photo slides on their property search apps, we want them to imagine themselves in the space. You get to guide the viewer in what to think and feel about the space. We can evoke the aesthetic of an urban farmhouse, a penthouse loft, a stately Victorian. You’re staging—or simply editing—to tell a story. Practically speaking, I edit for favorable angles the camera will be able to capture—I pre-determine what will be in each frame. 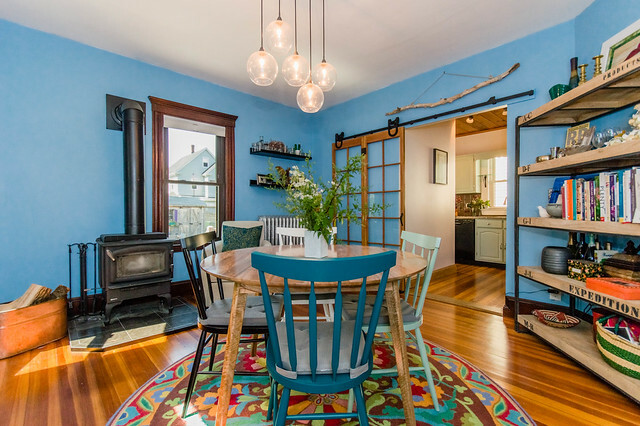 A wonderfully eclectic home with an abundance of colors and items in a relatively small space. We chose to frame it as a rustic farmhouse retreat. Moved many things out of the frame. My photographer and I moved large bins of items into the hallway or next room for each shot. Removed the kitchen island. What’s left is an artistic sensibility without being overwhelming or distracting. Sizable home with an unusual layout and quirky art fixtures throughout. We created more of a blank slate by removing lots of art and rugs, and rearranged furniture and plants. And to elaborate the roomy kitchen-dining layout, brought a lounge chair into the kitchen. At times, you will choose to hire a stager: when the need is there, and the budget and timeframe support it. If we truly need to dramatically change the feel of place in order to tell the story we want, then professional staging may be called for. In this way, staging helps us elevate the home’s attributes to show what it could be with a refresh or polish. A thirty-year accumulation of mismatched furnishings, crumbling ceilings, and dark spaces throughout. 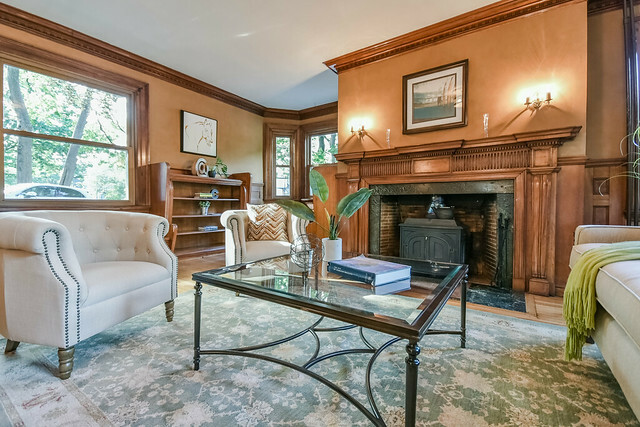 We positioned this home as a stately historic parkside home, emphasizing its four fireplaces and butler’s pantry. We repaired, edited (the seller used a dumpster), then staged. We repaired old ceilings and repainted bedroom and kitchen walls. Replaced lighting in the living room and removed window coverings. Staged professionally with furnishings and art, focusing only on four showcase rooms: living and dining rooms, kitchen and master bedroom. 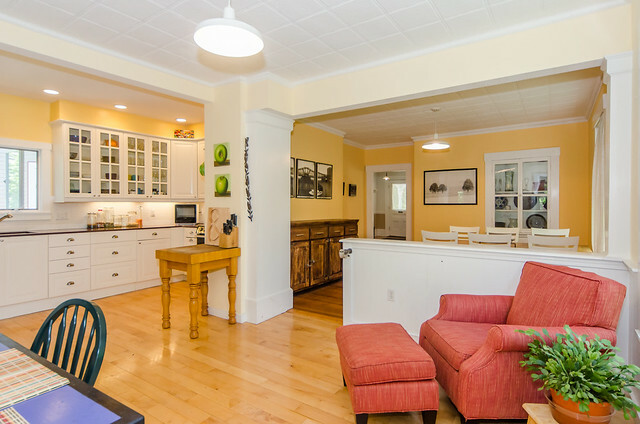 Our stager, Chrissis & Company, chose light furnishings to accentuate the natural woodwork. We used limited time and funds judiciously. We didn’t touch living room walls, dated painted woodwork, scuffed floors, or half the rooms in the house.